Phnom Penh – WaterSHED marks International Women’s Day 2016 with the launch of WEwork, a first-of-its-kind program to increase small business opportunities for women in the water, toilet and hygiene (WASH) industries. Women will learn how to run their own businesses and market their products more effectively to consumers in a sector typically dominated by men. WaterSHED has already recruited more than 175 rural Cambodian women into the first round of WEwork, which includes a series of training workshops and a network of mentorship and peer coaching. 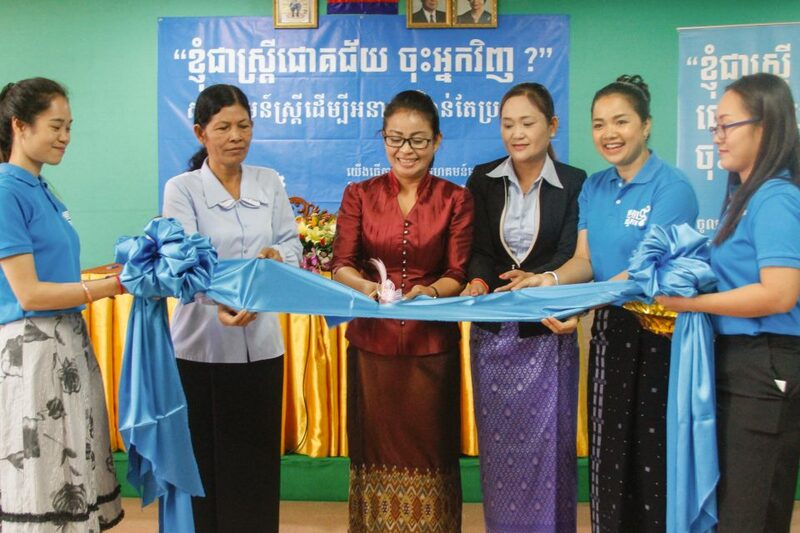 The network will kickoff in Kampong Cham on March 07, 2016 ahead of International Women’s Day. The program will also include research on how water, sanitation and hygiene products can be “marketed by women, to women” and will adapt marketing tools to be more appealing to female consumers. In 2017 WaterSHED will share its findings of what has worked, along with recommendations on how to expand the impact. WaterSHED builds the market for water, sanitation and hygiene products to give consumers easy access to clean water, toilets and a place to wash their hands. The Phnom Penh-based organization has successfully partnered with more than 170 small businesses and incubated four social enterprises in Cambodia, Vietnam, and Laos. Originally a project of USAID, it spun off in 2011 and has successfully enabled the sale of more than 130,000 toilets in Cambodia. WaterSHED’s 2-year women’s empowerment project was seed funded by Diageo’s ‘Plan W: Empowering Women through Learning’ and is one of 22 winning ideas for the Bill & Melinda Gates Foundation’s Grand Challenge: Putting Women and Girls at the Center of Development. More than 1,740 applicants from 128 countries competed for the award.